being little • bristol uk fashion & lifestyle blog. : getting that festive feeling. It's been tricky getting into the Christmas spirit this year. I think recent life stresses have put me a little off kilter, and usually by now I'd be listening to Christmas tunes, wrapping all the lovely gifts, decorating my lounge, having Christmas meals and mulled drinks at any opportunity.. but I'm just not feeling it. 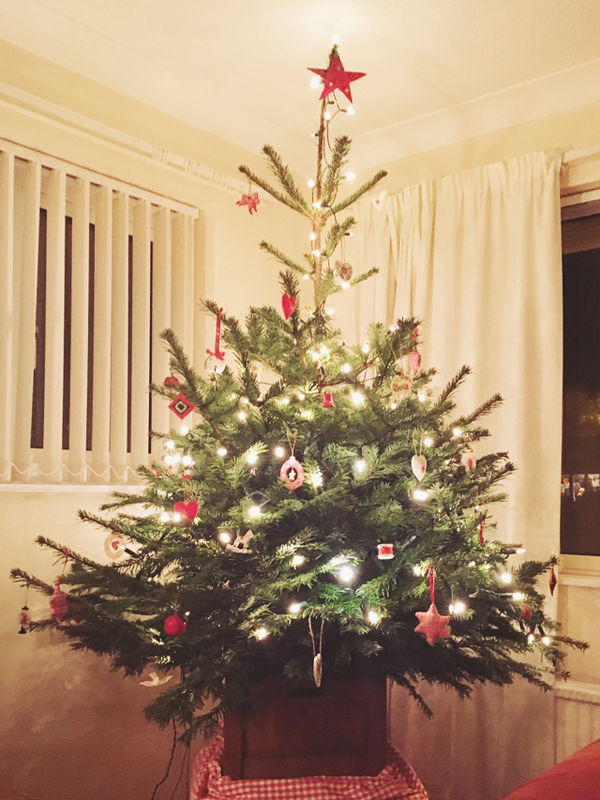 In order to feel more positive about this festive season, I thought I'd share all the things which ARE making me feel happy and jolly! • Lighting lots of candles and making my room cosy. The days are so short that I think the best thing to do is embrace the cosy! Turn the lights down a little lower, light more candles, get the fairy lights out. Chuck in a blanket, and you're winning. This absolutely HUGE 3 wick candle from Ralph Lauren* has been keeping me going for quite some time! 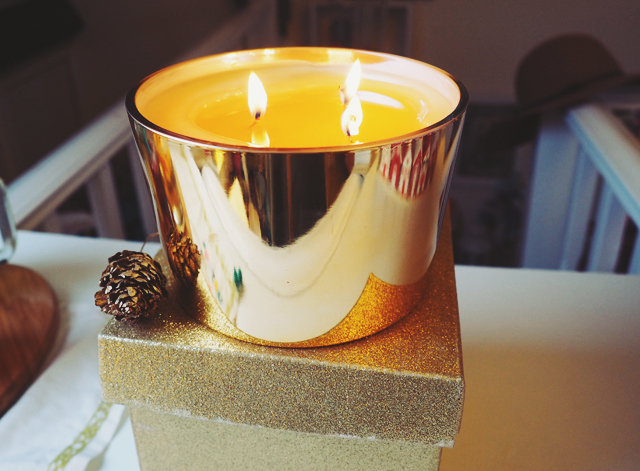 It smells gorgeous and the gold pot adds a bit of luxury and shine which is obviously essential this time of year! I won't be able to make it to my work Christmas do this year, but luckily I had a #BlogClub one to attend, with all my favourite local bloggers. 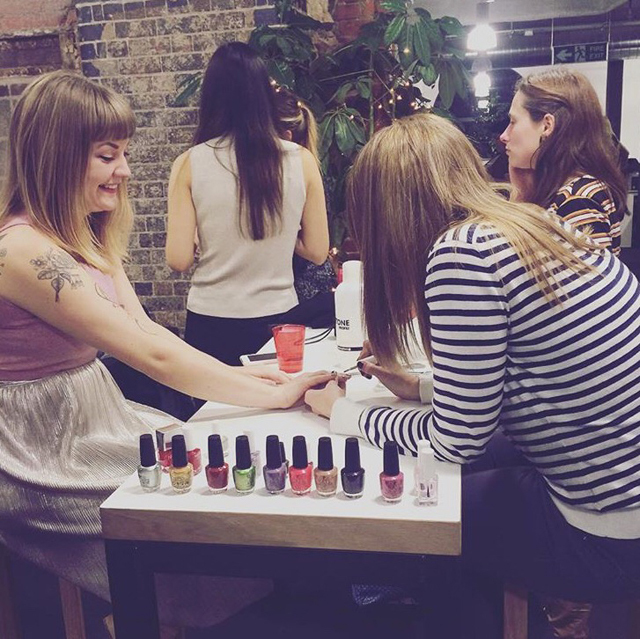 A nail bar, a raffle, and lots and lots of prosecco..
• Bumping into a reindeer! This was the most exciting thing. Wandering down East Street and who did I spy? 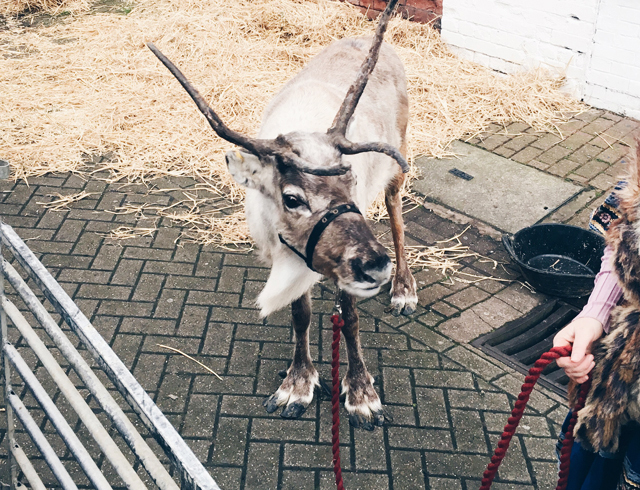 One of Father Christmas' reindeer of course! 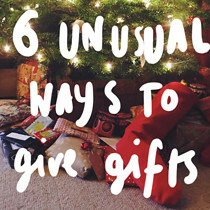 Little things like this make Christmas so special, not just for the kids! 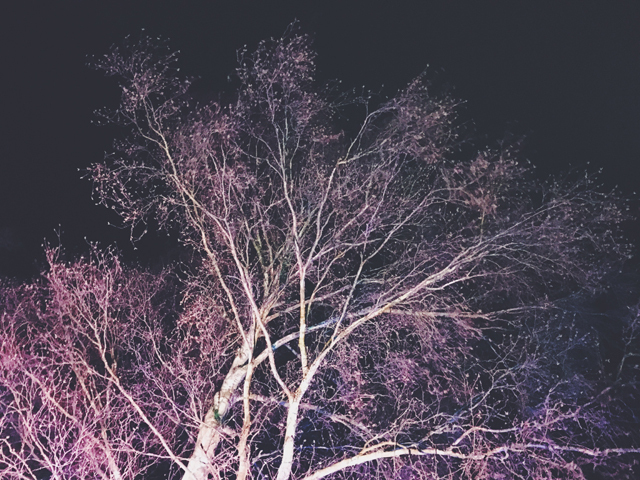 Myself and some lovely bloggers hopped in a couple of Co-Wheels cars and took a trip to An Enchanted Christmas at Westonbirt*. For anyone who doesn't know, Co-Wheels is an independently owned car club that offers low emission, greener cars that you can use on a pay-as-you-go basis. Despite unsuitable footwear and a bit of drizzle, it was such a lovely evening of wandering around looking at the beautifully lit trees. My favourites were definitely the trees with disco balls hanging in them! Reminded me of something which should be at Secret Garden Party. There were lots of families there who had a lovely time! Definitely one to look out for next Christmas. 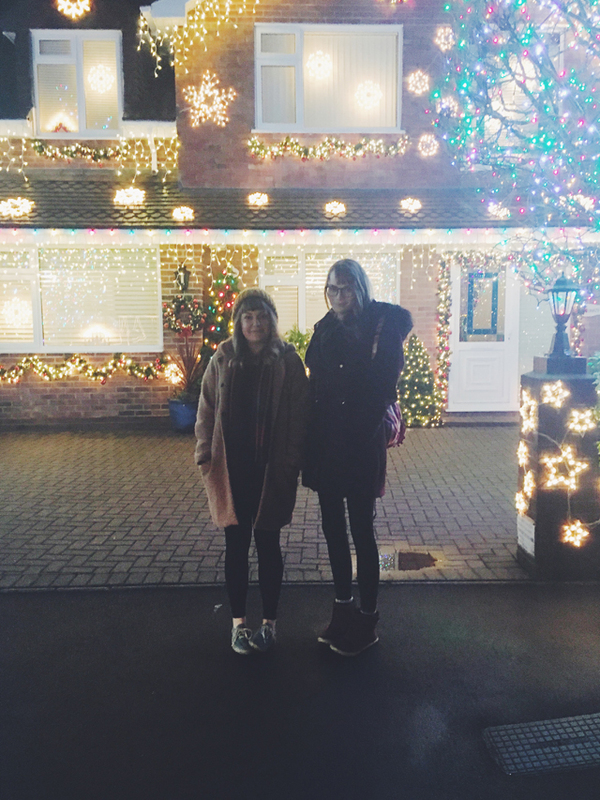 • Visiting friends and exchanging gifts & amazing Christmas lights! This week I was lucky enough to visit Bee & my two best girls from back home on consecutive days. Best days ever?! 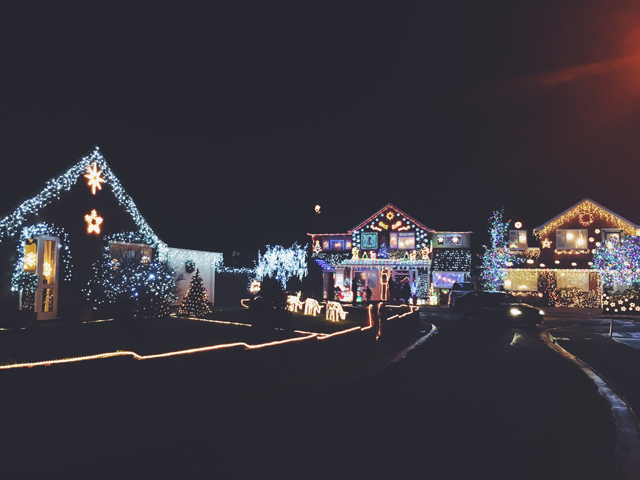 Bee and I sat around eating snacks and watching The Office, and then we went to this street lined with beautifully lit up houses! Truly incredible. The next day I met up with Charli & Beth and we went out for a meal, complete with crackers, gifts, and laughing so much that we cried. 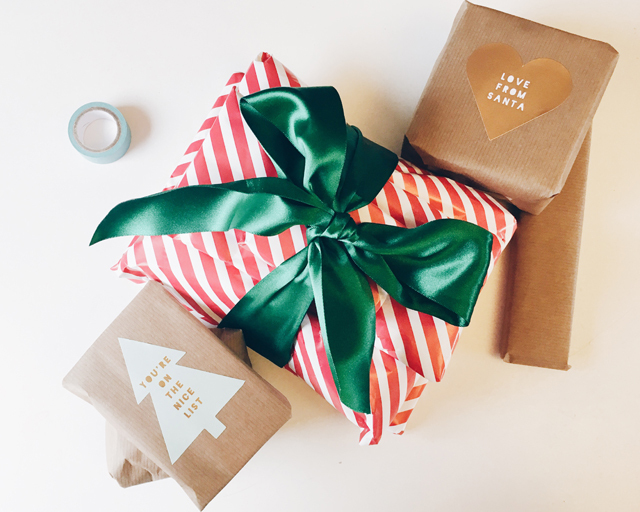 • Taking time to wrap gifts. I'm one of those people who loves gift wrapping. I'm very particular about how things look, and I like to spend time and money making them look nice. I love the feeling of seeing them all looking beautiful under the tree! • Selecting a tree with mum & decorating it. This is one of my favourite traditions. 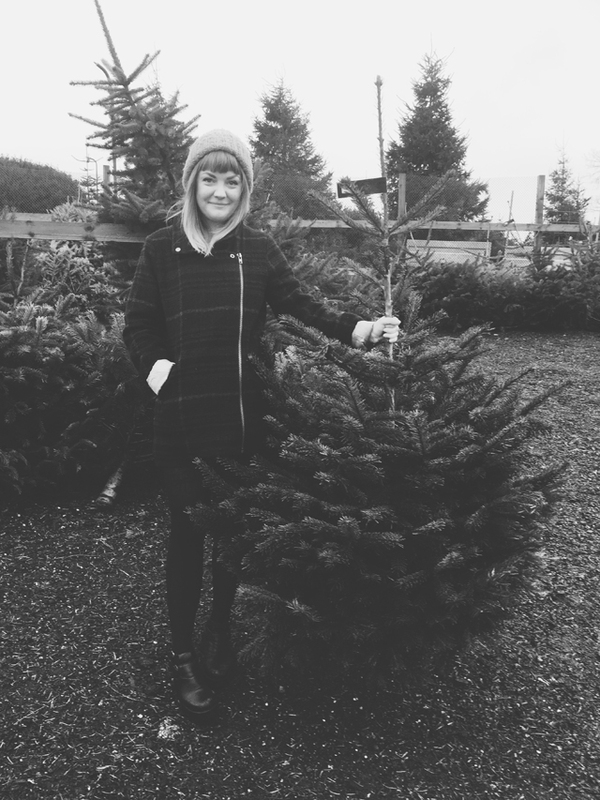 We head to Marldon Christmas Tree Farm and find a tree which feels right. Then I always ask mum to take a photo of me with it (see first photo!). Then we take it home and try to get it in the pot. Then I get to decorate it. It's always pretty folksy and simple! This time of year I think I consume 3x the amount of chocolate that I usually do - and that's already probably too much. 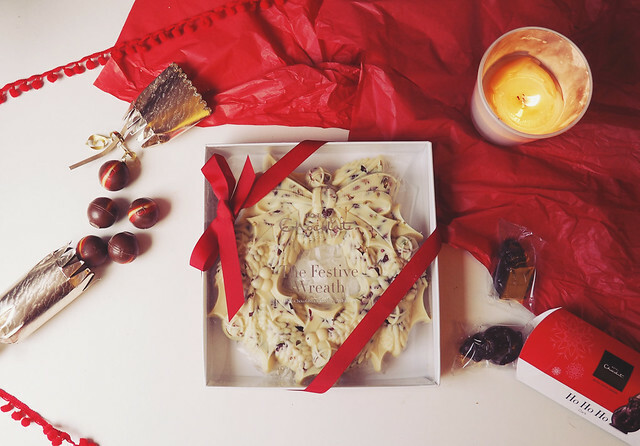 I cannot resist anything chocolate orange related, Snow Bites are addictive, and there are always fancy and delicious things like this Hotel Chocolat Festive Wreath*. I don't have a wreath on my door this year, but I do have this delicious thing. 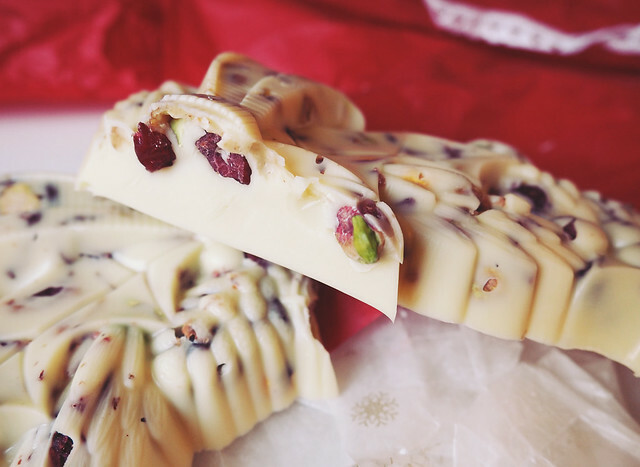 It's so thick and packed full of nuts and fruit. So Christmassy and delicious. I'm really looking for next week - lots of baking and cooking to be done! • Coming across cute festive things. Bedminster is always pretty sweet, in a scruffy way. 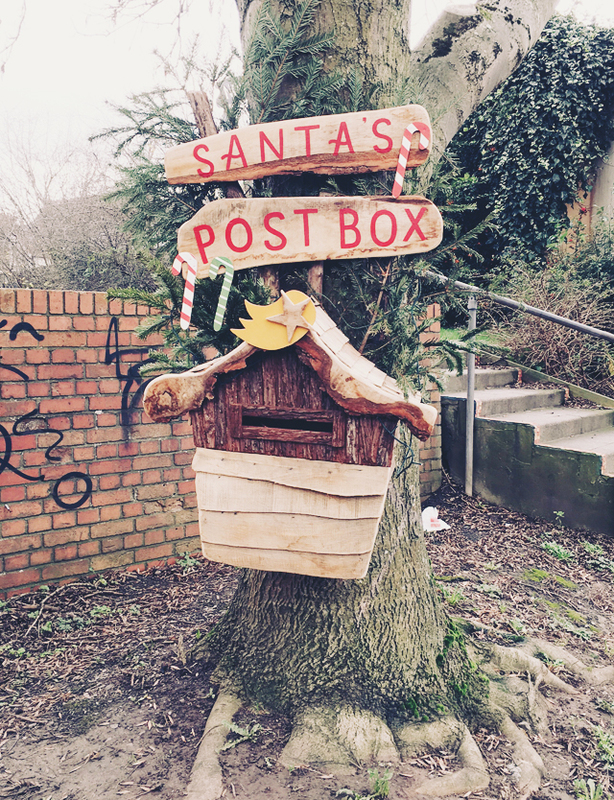 This Santa's post box perfectly sums that up. On a tree in a bit of a gross corner, is this beautiful post box for children (or adults, I guess) to post their letters to Father Christmas! • Wrapping up in your best loungewear. There was a time that my pyjamas were just big old t-shirts and leggings that I deemed too gross to wear in public. Now, I actually like having nice, cosy things to snuggle up in. Although, it does make it a lot harder to get dressed in the morning, she says at 12:40pm still in her PJs. 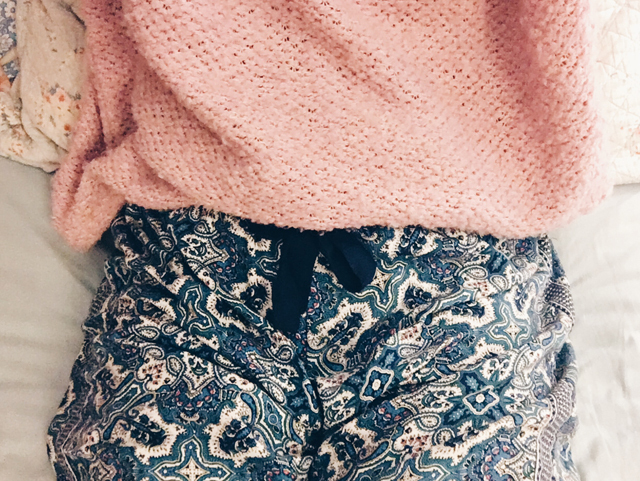 I actually have a blog post with some lovely new snuggly pyjamas coming v soon! 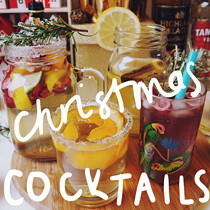 • Festive drinks with friends. 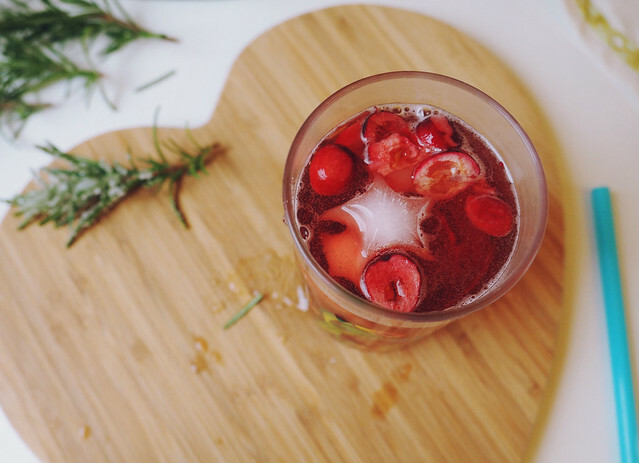 Give me all the mulled, anything with cranberry, anything with cinnamon. Catching up with friends before we all go our separate ways to see our families is so nice. The anticipation, not being at work, a few cheeky drinks. If that doesn't make me feel merry, I don't know what will! I have my last shift at work tonight, and then I'm heading back to Devon for Christmas on Monday. I can't wait to cook nice things with my mum, see my nieces, hug friends I haven't seen in ages, go to the best Christmas market... all the things! What makes you feel festive? Your face getting your nails done! I've not been feeling very Christmassy this year - I live in the north of Scotland and it's been 17 degrees the last few days! 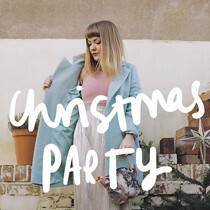 I'll have to use some of your tips to create my own festive feeling despite the contradictory weather. Those lights are amazing! Hope you have a great Christmas. my new do & how to keep it healthy. 8 ways to get a more restful sleep.